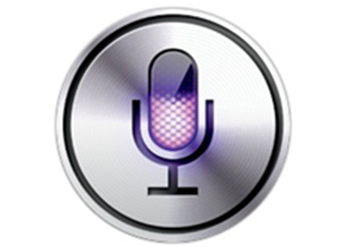 When Apple announced iOS 5.1 to the public last month, some hoped Siri for iPad would be somewhere on the list. Unfortunately, the fruit company only implemented Voice Dictation, which, although better than nothing, left the Siri hunters to continue using the alternatives available. Spire can be installed on any non-iPhone 4S iDevice – be it an iPad 1 or 2, iPhone 4, or even an iPod touch. Spire is, without any doubt the best way to get the Siri experience on your iOS device without having to chug out a few extra dollars for a brand new iPhone 4S. As we’ve gratefully come to expect from the jailbreak community, another tweakster has come through to try and improve things for the many iPad users running Spire. Developer iPodHacks142 has created a tweak which attempts to compensate for the areas in which Spire still lacks when pitted next to Siri on the iPhone 4S. Full Siri GUI for iPad 1/2 tweak offers the full Siri user interface to any iPad rocking Spire. ‘Full Siri GUI for iPad 1/2’ tweak renews the nice, grey linen background seen throughout iOS, replacing the rather bleak jet-black backdrop seen by default in Spire. The visual improvements are present in both small-declared and full-screen modes, perhaps pointing to how Siri could one day look if the Cupertino company allows its tablet device to enjoy some Siri loving. While the black background may not be of huge annoyance to every Spire user, to me, it commits a massive aesthetic faux pas. iOS is pleasing on the eye throughout, and although Spire is a helpful feature, its large, unsightly backdrop takes it down a couple of notches, spoiling an otherwise great tweak. Since Spire hasn’t been released for iOS 5.1, Full Siri GUI for iPad 1/2 can only be installed on iOS 5.0.1. It’s free to download over at the ModMyi repository – a default in your Cydia source list unless you’ve opted to delete it.